Humboldt Mfg. Co carries equipment for whatever aspect of materials testing you're involved in: soil testing in the field; lab tests for soil; geotechnical testing; fresh concrete testing or strength testing; non-destructive testing of concrete; cement testing; concrete flooring and floor coverings; asphalt testing; testing aggregate properties, general laboratory equipment, and ASTM or AASHTO tests. Look to Humboldt for all your construction materials testing equipment and shop the online store for all your needs. 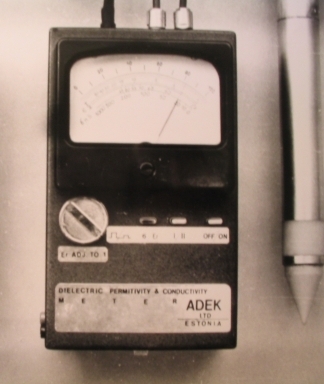 Adek LLC is an Estonian private company active since 1989 in designing and small series manufacturing of the apparatus for the measurement of materials electrical properties (permittivity, conductivity) as well as in material research. Our partners are Tallinn Technical University, Estonian Research Institute of Agriculture and Roadscanners OY, Finland. 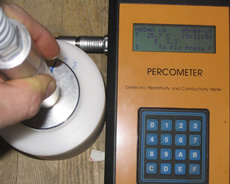 The first analogue scale percometer was sold to Finland 1993, digital PM was unveiled in 1996, first percostation was installed at Rovaniemi 1999. We offer our costumer flexible solution in the measurement of electrical properties of materials and based on them moisture measurement applications.